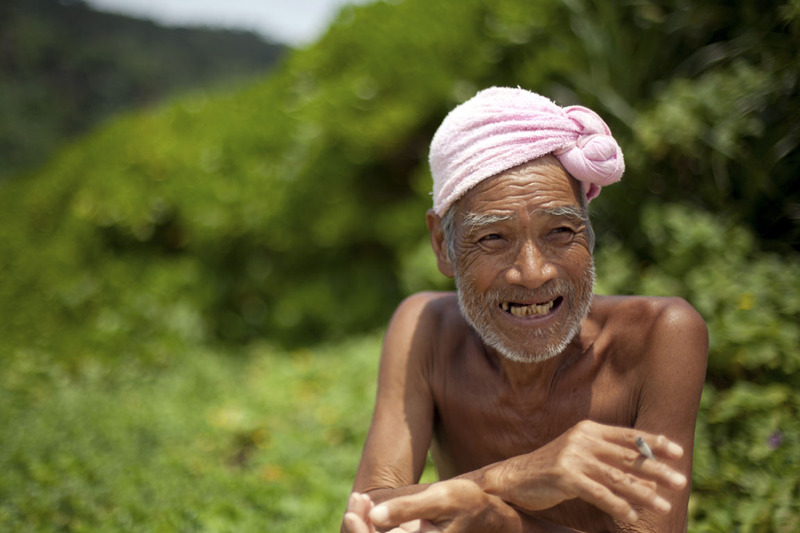 Meet 78 year-old Masafumi Nagasaki-san living all by himself, in complete harmony with nature, on Sotobanari Island located in the south of Okinawa prefecture. For 20 years now, Nagasaki chose to live a peaceful and quiet life on this “outer distant island” (Sotobanari translation) where there’s absolutely no other human being and where no fishermen dares to throw their nests. This 27 minute-heartwarming documentary shows you how the naked man lives alone on this beautiful and harsh island, and why did he choose to do so. Nagasaki tells us he experienced a lot of difficult situations, especially in the beginning, but took them as meaningful challenges, as a way to always learn more and be aware of everything, especially if you want to survive. A great motivational story. “Sometimes, when I’m up on the mountains, I look down and see a simulacrum of myself. When the simulacrum appears small, it means I’m in tune with nature. If it seems too large, then it’s a sign that my presence is getting too big on this island. Watch this cool documentary by reporter Yuka Uchida here. Posted in lifestyle, they did it for real!